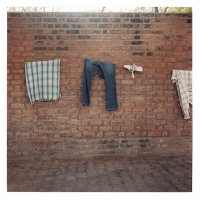 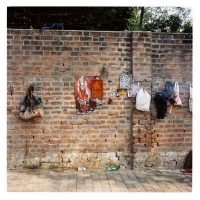 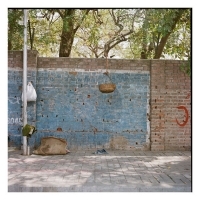 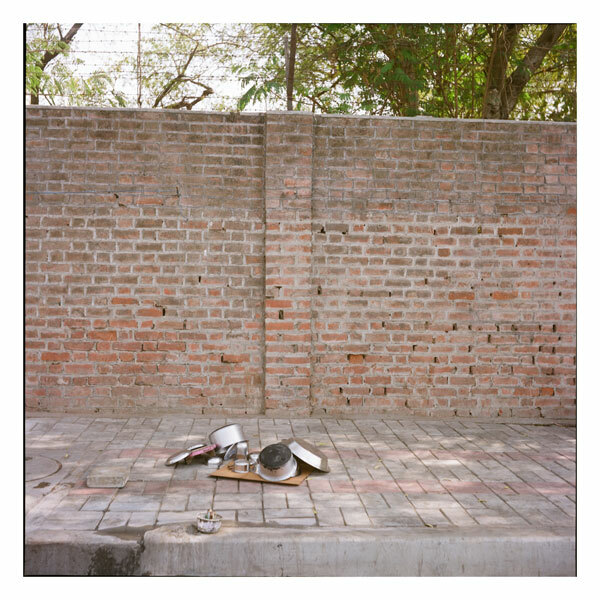 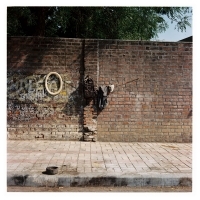 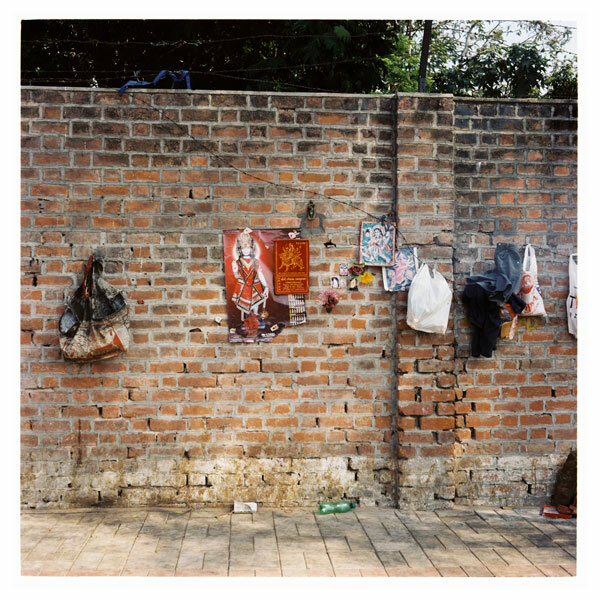 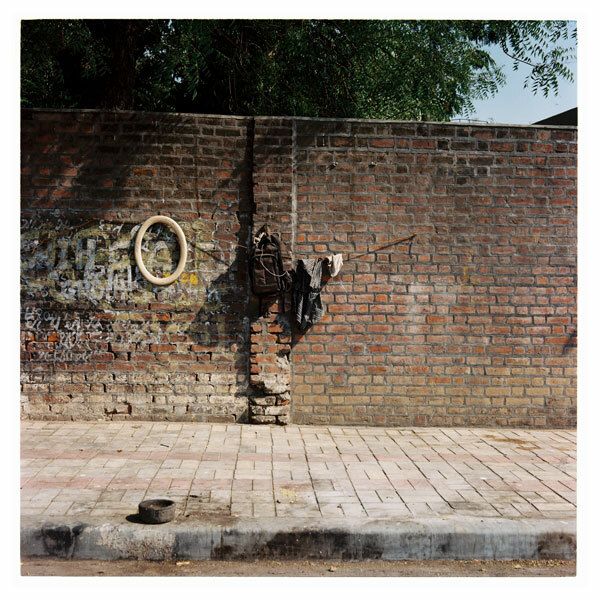 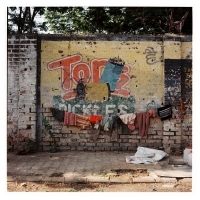 This series was photographed in the city of Ahmedabad (Gujarat, India) during several visits through 2008-2010. 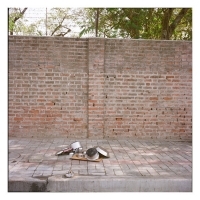 On one of the city’s main roads I came across a long brick wall surrounding a prestigious academic institute. 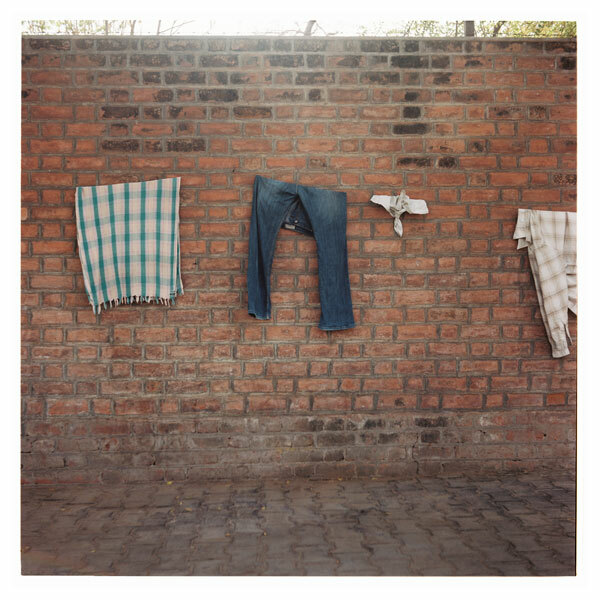 The wall was "ornamented" with strings to which pieces of clothing and furniture were hung. 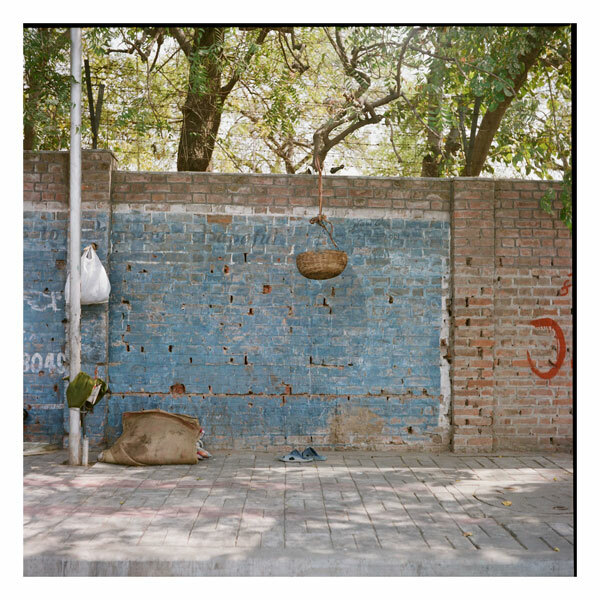 What may have seemed at the very first glance as a humble form of a market quickly was comprehended for what it was: these are the ‘houses’ of hundreds of homeless people living on / in two dimensions. 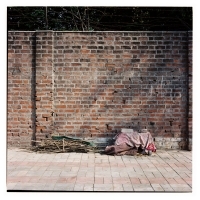 Opposed to the common concept of house as a closed box, here people live in one big horizontal line in the public sphere. 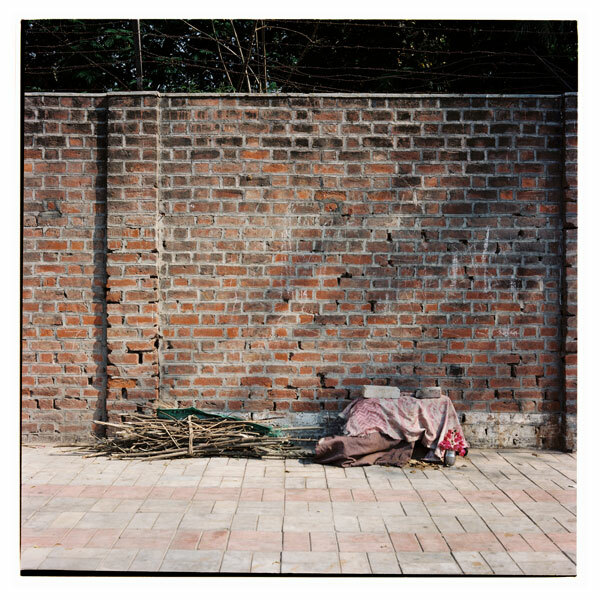 I decided to shoot these fragmented ‘homes’ without their inhabitants and therefore instead of portraits, the series portrays ‘interiors’ that are also ‘exteriors’. 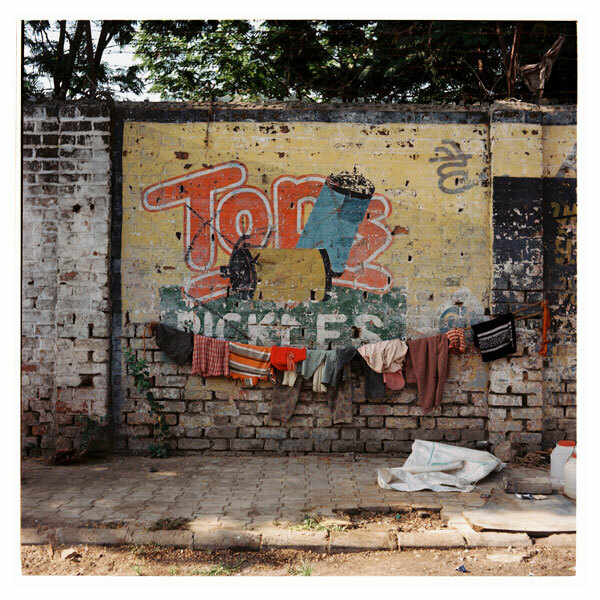 I was drawn to the geometrical aspect of this surroundings, a horizontality without horizon, an overlapping desolation that managed to portray intimacy although exposed to the public eye.